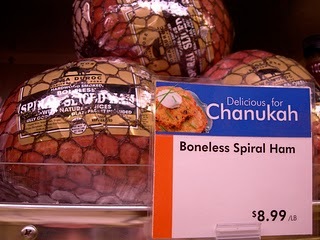 Have you seen the photo of the Boneless Spiral Ham on sale for Hanukkah? Well, just like the return of the clothing fashion styles of yesteryear, many things on the Web tend to make a comeback too. It seems like every few years the same hoaxes, urban legends, videos, jokes and funny photos get recycled around Cyberspace. It appears however, that someone decided to write their own midrash about the photo by including the caption: “Dear Walmart, I think you are barking up the wrong tree. Love, The Jews.” Based on the name on most of the re-posted photos on Facebook, it appears that Kathy Ohsman Hoffman of Scottsdale, Arizona is the one who penned the Walmart statement. This photo of the Hanukkah Ham makes its way around the Web each year. The photo is actually from 2007 and it had nothing to do with Walmart. 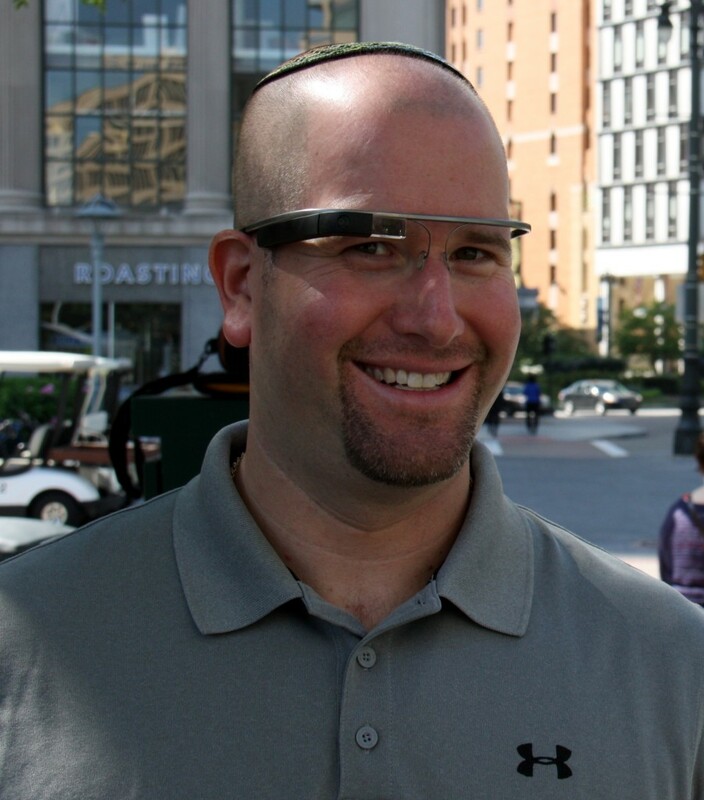 It was taken at Balducci’s, a specialty food store in New York City (of all places… shouldn’t they know better?). I blogged about this FAIL marketing idea at Balducci’s back in December 2007 and even included some faux holiday sale signs from other stores in my post. A quick search for “Hanukkah Ham” on snopes.com will also let you know that this poor choice in advertising occurred not at Walmart, but at Balducci’s. In my Facebook news feed I noticed that Shir Yakov Feinstein Feit, the musical director at NYC’s Romemu, posted the Walmart/Ham accusation to which Jay Michaelson responded with a link to an article on the satire site The Onion from 1997 explaining that the 6,000 year old Jewish ban on ham has been lifted by the Jewish elders. One of my Facebook friends added this comment to the Hanukkah Ham posting: “Nothing like a good sprial sliced smoked ham to go with latkes and applesauce….and a good glass of whole white milk. Yum”.